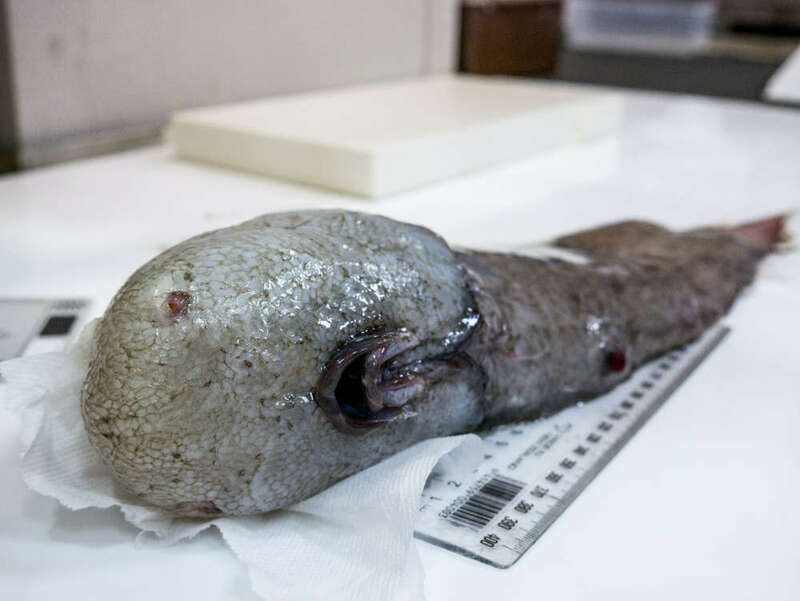 Scientists on a deep-sea expedition have discovered a fish that has no face. Well not exactly discovered, more rediscovered, as the fish had previously been discovered over a 100 years ago but was a presumed to be extinct. The strange fish has no eyes or nose just a mouth, that isn’t where fish mouths normally are but instead is on the underside of the fish. The underside of the fish showing its strange mouth. 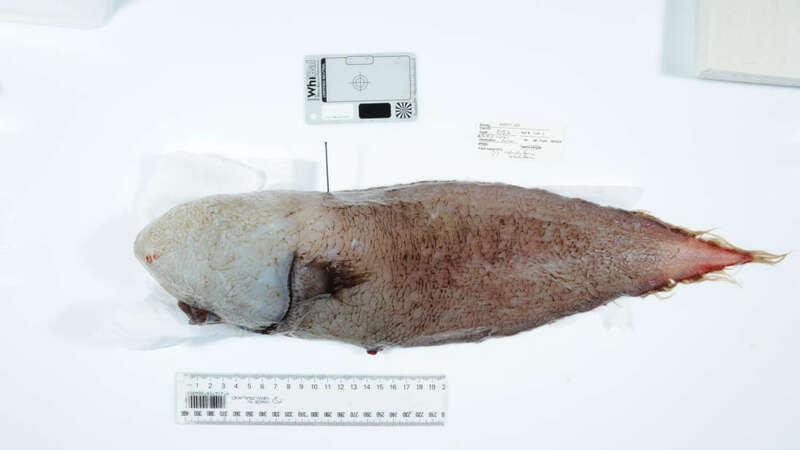 This 15 inch long odd-looking fish was found at a depth of approximately 4km, at the Jervis Bay Commonwealth Marine Reserve off the Eastern Coast of Australia. At a depth of 4000 meters there is no natural light so eyes aren’t needed for survival so many deep sea species are blind or even lack eyes. The fish is called Typhlonus nasus which literally translates as the Blind Hake. The discovery was made by researchers on board the ship RV Investigator, working on a collaborative deep sea project between Museums Victoria, and the Commonwealth Scientific and Industrial Research Organisation (CSIRO). The scientific research team are methodically documenting document habitats between 2,500 to 4,000 meters (8,200 to 13,120 feet using cameras, nets, multi-beam sonar, and other high-tech research equipment.